North Star celebrates receiving national recognition for two of their future leaders. North Star is a group of housing associations operating across the North East and North Yorkshire. They build and rent high quality affordable housing to meet a variety of needs, including specialist supported housing. They are committed to creating homes and building futures as well as investing in people at every level. North Star put people at the forefront of everything they do, and invest heavily in their staff. The local housing provider is particularly keen to attract and nurture the next generation of young leaders, providing a range of opportunities for staff to develop their skills by offering work-based learning and professional development that supports the growth of managers now and in the future. North Star works in partnership with Teesside University to develop professional managers, as well as delivering an internal young leadership and team managers programme. And most recently, the organisation involved all staff from every level in developing their next five year business strategy. 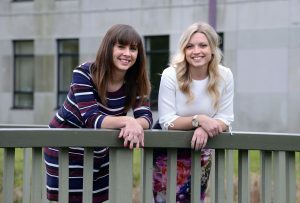 Two young professionals from North Star have been shortlisted for national awards for their exceptional contribution to the housing sector. Stef Bull, Customer Services Team Leader, has been shortlisted for 24Housing’s Young Leaders Award, and Laura Wood, Group Lead for PR and Communications, has made it into the top 10 for the Chartered Institute of Housing (CIH) and Inside Housing’s Rising Stars Award. The next stage will be an online vote to narrow it down to a top 10. The top 10 will then pitch their ideas to a panel of housing professionals, being whittled down to five finalists who will present at the National Housing Federation’s Annual Conference in September. Voting is now open and finalists are taking part in a series of tasks to determine the winner, who will be crowned at the Housing Heroes Awards on June 25 2018.